Here’s a quick Internet marketing history lesson. A squeeze page was originally a very specific type of opt-in page that required you to supply an email address just for the privilege of reading a sales letter. If you didn’t buy immediately, you got follow-up pitches. But things were easier back then, until hucksters and charlatans abused the privilege and people fought back. I’m about to show you how to win the trust and interest of prospective subscribers despite any initial misgivings your audience may have. 1. Who do you want? The first step is crucial, and yet time and again I see people plow ahead without a clear understanding of exactly the type of person they want on their email list. Without a clear and detailed understanding of who you want, you can’t craft a message that resonates strongly enough to spark interest and gain trust. Take a look at our Internet Marketing for Smart People opt-in page, for example. The exact same course benefits could attract your typical “get rich quick” business opportunity type. But instead, the message is positioned squarely against that type of person, and aimed at people who are willing to put the effort in. Take the time to figure out who you really want on your list in terms of your ultimate goal, which is likely to be moving enough of them to customer or client. Then and only then will you know how to “speak their language” with your opt-in copy. Your email opt-in page has one goal — to get people to sign up to your email list. Every word and element of the page should support that single action. If it doesn’t, lose it. That means lose your typical sidebar. That means lose those links in your copy. In many cases, that means creating a page so focused on the opt-in that you take an approach that’s different from your normal site design. One page, one action. That’s it. 3. What are the essential elements? The headline: You’ve got to instantly catch attention with your headline. The benefits: You’ve got to tell by teasing, usually with fascinating bullet points. The call to action: You’ve got to expressly tell people to sign-up. The opt-in form: You’ve got to have a way for them to sign-up. The Proof: In this case, proof should be of the social kind. Number of subscribers, subscriber testimonials, reviews and media mentions, etc. Whether or not you need to add in proof depends on a number of criteria, including the strength of your brand and the traffic source. For example, if you’re driving existing blog subscribers to a focused email list, your good reputation (hopefully) precedes you. If you’re using Google AdWords to drive traffic, you likely have no reputation on your side and you’ll need everything you’ve got. 4. What incentive should you give? It’s always been a smart tactic to offer an up-front incentive, or “ethical bribe” to convince people to sign up for your list. This could be a free report, webinar, audio seminar, or other instant-gratification freebie. In many markets, this strategy still works just fine. In others, you’ll face savvy subscribers who snag your incentive with an alternate “trash” email address, or simply unsubscribe immediately. The better approach is to focus the incentive on staying subscribed. Offer that report over time as a series of emails from your autoresponder, break the video or audio into parts, and always entice subscribers with what’s coming next. The key is for people to realize that you’re giving more than you’re taking (pitching), and they’ll happily stay with you much longer. 5. How long should your copy be? Same as it ever was: As long as necessary, and no longer. In the case of an opt-in page, the essentials have to be there — headline, benefits, and call to action. But going back to step one, a bit more copy will help you better target the exact type of person you want on your list. Again, look at the IMfSP page … we lead with three paragraphs of positioning before stating benefits, presenting the sign-up form, and then provide more copy for people who want more information. You can follow this format, or use testimonials to round out the second call to action and opt-in form. And don’t forget to reassure people that you respect their privacy. 6. How much information should you ask for? The less form data you ask for, the more people sign up. We tested asking for first name and email address against email address only, and the latter won. Now, we only ask for an email address (go figure). If your business goals dictate getting more information, like a mailing address and phone number, so be it. Personally, I’d get the prospect on the list first, and then send valuable content that culminates with a call to action that asks for that information via a contact form. The more trust you build, the more people open up to you. And you get to communicate with prospects regularly, which means it’s no longer an all-or-nothing situation. Everything above represents tried-and-tested wisdom for email opt-in pages. But when it comes down to what specifically works for you and your audience, only your own split-testing will tell the whole truth. Changes to headlines, button colors, and other tiny tweaks can make a big difference when it comes to your opt-in rate. Just don’t forget step one above. In other words, tweaking your landing page to get the absolute best opt-in rate doesn’t mean much if you’re attracting the wrong people for your ultimate goal of selling something. You need to make sure you test within the bounds of a well-targeted premise that resonates with your intended audience. Remember the first step at all times. Often, people are well aware of best practices for creating an effective opt-in page. And yet they don’t follow some of them (especially split-testing) because it can be a pain. Our Premise Landing Page System for WordPress makes creating and split-testing opt-in pages a snap, and features easy integration with Aweber, Mail Chimp, and Constant Contact. Plus, you’ll never attract the wrong crowd to your list with the Premise Guide to Effective Copywriting — a 23-page manual and hour-long audio seminar included at no extra charge. I quite agree with you Brian Clark, the 7 steps reminds me of all the things I did wrong while starting out. I spent 2 years without building a single mailing list. I thought it doesn’t matter – but to my utmost surprise, it does. Today I know better. Even when I started building a list about 2 years ago, the only step I considered is the step 3. No one has ever told me that I need to know what the right audience wants and how to deliver to them. Even as my list grows today, it seems very difficult to convert them into repeated buyers because the foundation I used wasn’t so cute. But I believe it’s not too late. I’m going to re-adjust today and focus on these 7 steps as laid out by you. I’m so much grateful to you and will continue to be an ardent reader fan of yours. oh and thanks for #6 on this list .. I just changed all my opt-in forms to e-mail only! Makes sense to get less information first. It’s funny, I thought the “no sidebar” rule would work for me and I tested it, fully expecting to be proved right and I got more sign-up with the sidebar there! I narrowed the central column of text on the no-sidebar page and it looked lovely – but, less sign-ups. Go figure! Great advice about knowing who you want on your list and offering an incentive. The squeeze page is a must though, I’m getting 75% sign-ups from it and 25% from the sidebar form at the moment. Rob, that’s really interesting. I’ve tested sidebar versus no sidebar countless times, and no sidebar converts better every time. Makes sense, really — less distractions and exits points from the page. It makes sense – no distractions, I’m gonna test it again, got to be worth a try! Thanks. Nope, I tested it again, this time a normal layout with a sidebar vs. a squeeze page with no sidebar, no top navbar – just logo and content. And, again, my visitors sign up more with the sidebar and all the distractions! In all of my testing, I’ve found that the shorter the squeeze page, the higher the conversion. And if you have a brand to back it up, shorter is even better. But, again, you should always test… and with Premise that’s real easy since it works beautifully with both Google Website Optimizer and Visual Website Optimizer. I’m not trying to change anyone’s mind about saying squeeze page. I just think it’s fascinating how the term evolved from specific to general use. Excellent write up Brian. I’ve taken your advise and set up an opt-in form already to build up email lists. I am also giving away a small ebook for free for starters. Now this article come handy for me. Thanks so much for your help. Excellent tips! I’m bookmarking this post. I’ve encountered too many people recently (unfortunately, one was a potential boss in an interview!) who believe in quantity over quality for email lists. They don’t realize that a smaller, targeted list of people who are genuinely interested can produce much better results than a large list of bought names. I think what’s interesting is that most don’t have any copy that “sells” their newsletter in the first place. I think it is difficult for people to get their head around the fact that we have to sell free stuff just as much as we sell our products and services. Thanks for writing this Brian! I’ve also found that it takes a constant reminder to encourage people to sign up. Give that signup form some prime real estate on your page and use the site’s copy to remind visitors that it’s there. Yes, a squeeze or opt-in page has a huge sign up rate compared to sidebars or popup messages. My only questions is where do you put your url for the squeeze page to get qualified leads to it. You don’t want the first page someone goes to, to be that page. Any tips on how to get readers to this page would be a huge help! We drive traffic from mentions of our 20-part course in blog posts and from our podcasts. It works much better than a sidebar banner ad, for example, although we’re always testing new methods. Ahh, great tip. Thanks for sharing Brian! Just wondering what your thoughts are about video opt-ins? I notice in the IM field nearly all opt-ins are video, with or w/o text below. I’m wondering if there is a better conversion rate than for regular opt-ins, considering the fact that people spend so much of their time watching info, rather than reading it. I’m in the process of working through a drip series on my business and this post is very timely. I’ve been pretty actively studying the “Internet Marketing for Smart People” too. Question though, where do you recommend you place the link to the landing page – in the nav bar, the sidebar or perhaps even a separate box following your single posts? What has been your own experience as to what is most effective? Thanks Brian. Somehow I missed Tony question, but appreciate the double reply. One discouraging trend I’ve found is that some business owners assume when you trade business cards at a networking event, that you have opted in to their newsletter. To me, that’s disrespectful. Ask verbally at that time, or ask permission when you connect via email or social media, before adding anyone to your email newsletter distro list. That’s my practice, and my open rates are consistently over 40%. Yeah, I hate when people do that. Tad bit desperate, in my opinion. Also, it’s borderline on breaking CAN-SPAM compliance. People have to actually elect to receive the emails. Some email programs at least have a “Welcome Email” feature that sends an automated email to new subscribers introducing the email program (and gives them an option to opt-out). I wish more businesses used that feature. I have also implemented the optin page asking only for the email. Added to the fact that asking for only the email is less demanding, I don’t feel right to use first names in my messages. In fact, for people who have a list, they are likely to know that you did not write each an every email. I love how you made that so easy by asking questions for each step and then answering them. Your Premise landing page plugin has saved me so much time creating landing pages. I used it for a video opt in page and it’s great. Makes it simple. Man that was great Brian! I learned so much from this, and just spent the last few hours tweaking the site with what you had said. The funny thing is, I do this for my clients, but I don’t know… I just lost track of why it is they actually choose me (versus everyone else). You know? 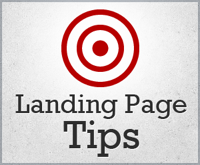 This is a great post for anyone looking to get start with landing pages. Can’t go wrong with injecting the K.I.S.S. way of doing things in there. I really dislike seeing those landing pages that may internet marketers use with the loud and cheesy text, and all that highlighted numbers crap. Hopefully all that stuff converts but I must rather prefer a more clean landing page like the ones you guys use here on Copyblogger. Its straight forward and effective. P.S. Love the way you delivered you offering at the end, Real smooth! Thanks for this Brian. I’m enjoying the IMfSP radio show too. Have you any plans to integrate Premise (which was an ‘earlybird’ purchase for me and which I’m finding very useful) with Campaign Monitor as well as the other three email systems? That would just about be the best news ever! Paul, we do plan to add other email providers. Make sure to submit a feature request so the development team has a record of it. Some teach that opt-in or any call to action should always be above the fold. day it’s what the consumer likes or dislikes that counts. Your (Copyblogger’s) content is always fabulous. Accessible. Witty. Easy to put into practice. Thanks for another great blog! I’ve encountered too many people recently (unfortunately, one was a potential boss in an interview!) who believe in quantity over quality for email lists. They don’t realize that a smaller, targeted list of people who are genuinely interested can produce much better results than a large list of bought names. You talk about dropping the sidebar. I remember reading on socialtriggers that it’s best to have a certain width (480-600PX) and not more. Without sidebar, the content would stretch too wide right? It’s true that some people un subscribe immediately. When I noticed a few people doing it on my email list, I personally sent them an email. Some of them respond and are honest enough to say that they signed up only for the book. I’m not sure how long social proof would stand. With people on Fiverr doing all sorts of testimonials according to “scripts”, I hardly believe social proof any more. Of course I know I cant get Brian or Darren to give proof like that. Still…. I have found that offering a free book instead of a series of email increases the sticky rate of subscribers. Did you find the same results? I know email only works best, but currently my theme is coded in such a way that it takes in name and email. Either re code my theme (I am using one from Kolakube) or take the chance of less subscribers. We format the no-sidebars page to keep the content to a nice, readable width. You’re right, content that stretches too far across the screen can be hard to read. Thank you so much Brian for this awesome post. I was a good read. The “how much information should you ask for” concern is a big one. That can really be a make or break decision in your call to action. If you are asking way too much personal information for a simple free offer, than people become suspicious. Or 9 times out of 10 will give false information. The less the better at first. Especially if you want true information. Then you ask for more after you have build that trust, as you stated. I like to sign up for email lists with the name “Miss Fancypants, or sometimes “Queen Fancypants.” It makes for excellent personalizations. You know, with the way people are naming their kids these days, that might turn out to be somebodies actual name. HA! I’ve had great results asking for more info for opt-ins emails, the way I LOOK at it, the information is a good trade off for receiving something free, and the one’s that don’t fill it out weren’t serious about getting that special something for free. I run a free business listing site, and when I get just part of the info about the company, I won’t list that company. For my listing site, most serious businesses have no problem giving all the info I ask for, so why would I waste my time on those who don’t want free traffic. Great point on #1. People spend so much time worrying about “getting more subscribers”. But it’s not just about having a high total number, it’s about having a high number of the RIGHT kinds of people. That’s where the most value is. I guess you are right… sometimes we enjoy having large number of subscribers only to realize later on that our efforts are useless simple because we have the wrong list. For us, landing pages have been a pain. Suffice it to say, we’ll be signing up for Premise. Sounds like a fantastic tool. I prefer the pop-up form than the landing page. Why? People are getting lazier to read content. The headlines and highlighted list title only catch their eyes. Although, landing page provide a detailed info and might convince more genuine readers. What a way to start the day! Creating an effective email landing page to get a mailing list surely is one aspect that we lack and this will certainly help addressing that. I have little to no knowledge about this actually but after reading it all, I now feel different. Premise is a nice touch btw, I stumbled upon it once unsure of what it actually is for but I now know exactly for what reason. Will be sure to integrate it in our campaigns! Ok, this is awesome but now we have to put it to the test!!! I’m going to create a page this week with all these steps and let’s see where we’re at! Thanks for this post. You brought up a great tip to deliver the incentive over the course of a few emails as opposed to the standard – upon submission of the form. Time to test! I’ll need to sort this out. At the moment, I’m focussing on content and trying to market my work so that people see it for the first time. After 6 months, I only have 9 subscribers (3 by mail). A specific opt-in page maybe the thing I’m looking for! Along with incentives to keep your subscribers from unsubscribing initially, make sure that you don’t bombard your subscribers with emails. That is something that will surely cause them to unsubscribe. Then it won’t matter that you got them to subscribe, because they will be gone with little chance of coming back. ’t bombard your subscribers with emails. That is something that will surely cause them to unsubscribe. Then it won’t matter that you got them to subscribe, because they will be gone with little chance of coming back. Any suggestions on how I can create a landing page inside of WordPress that will drop my usual sidebar and other pages, like yours does? Thanks for the great resources as usual! How do you promote a landing page for free? Thanks Brian, I never considered being very specific about who I want on my list, since I am still trying to build my list, its kind of, GREAT if anybody joins. Thanks for your post Brian, I would be changing my Opt-in form according to your instruction! An Opt in form is needed for my website but I haven’t known how to do it before. Thanks again!!!! Brian that’s a fabulous Premise box at the end of your post. Is it done with good old fashioned html and styled with CSS or is there coding involved? I’d love a box like that on my Premise affiliate pages. Brian, I apologize if you’ve already answered this question, but I’d like to purchase Premise, but I’m wondering if their is integration with iContact. I saw mention of other autoresponders, but not specifically iContact. If the iContact integration is there, I can’t wait to start using.